Mrs. Sujatha JS has a bachelor’s degree in Economics and an MBA from Kuvempu University. 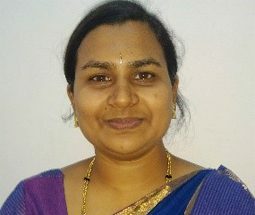 She began her teaching career as a Guest Faculty at Government First Grade College, Molakalmuru and has at teaching experience of four years. Before joining CMRU, she worked as an assistant professor in Arjun College of Technology and Sciences, Hyderabad. Currently, she is pursuing a Ph.D program in Management at CMR University.